The growing and friendly airline, Norwegian carried almost 3.5 million passengers in May, an increase of 17 percent compared to the same month previous year. During May, the capacity growth was 51 percent. The growth will gradually decrease during the autumn and into 2019. 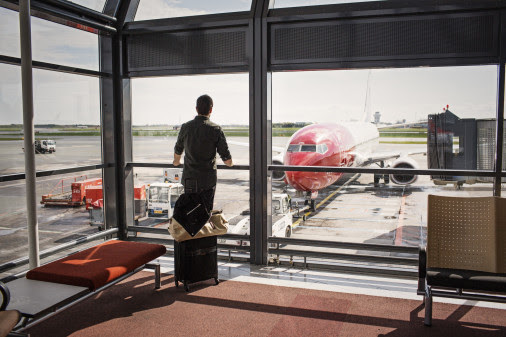 A total of 3,421,460 passengers chose to fly with Norwegian in May, 497,863 more than the same period last year. The total traffic growth (RPK) and capacity growth (ASK) both increased by 51 percent. The load factor remained unchanged at 86.5 percent. “We have increased the capacity considerably compared to the same month last year. On our long-haul routes, the growth has been strongest outside the Nordics. Even with strong capacity growth, the demand is high, demonstrating that our affordable fares, new and more comfortable aircraft and a wide selection of routes attract many new customers,” said CEO of Norwegian, Bjørn Kjos. "We have been through a long period of strong growth and significant investments, including the establishment of new bases and the training of thousands of new colleagues. Our strategy has been to build a strong, competitive company, and going forward we will reap what we have sown for the benefit of our customers, dedicated staff and shareholders,” Kjos continues. Norwegian operated 99.2 percent of the scheduled flights in May, of which 77.3 percent departed on time. The on-time performance is influenced by air traffic control strikes in France. Norwegian’s fleet renewal program continues with full force in 2018. The company took delivery of one Boeing 787-9 Dreamliner and one Boeing 737 MAX 8 in May. In total, Norwegian will take delivery of 11 Boeing 787-9 Dreamliners, 12 Boeing 737 MAX 8 and two Boeing 737 800 aircraft during 2018. With an average age of only 3.7 years, Norwegian’s fleet is one of the world’s “greenest” and most modern.